Quick: what comes to mind when you read the phrase “artificial intelligence in space”? If you pictured the ever-so-ominous HAL-9000 from Kubrick’s 2001: A Space Odyssey, we urge you not to panic—artificial intelligence has taken to the stars. At least, it will have done in the near future. Artificial intelligence, more precisely deep neural networks and machine learning, will be critically important support systems for a range of in-space activities, especially as plans for deep space exploration and advanced satellite applications begin to take shape. What’s more, defense-centric government and military programs will also rely on machine learning software in the years ahead—software currently being developed by commercial vendors and small startup ventures. As such, space-based AI technologies represent an interesting opportunity for forward-thinking investors on the lookout for new early-stage investment opportunities. 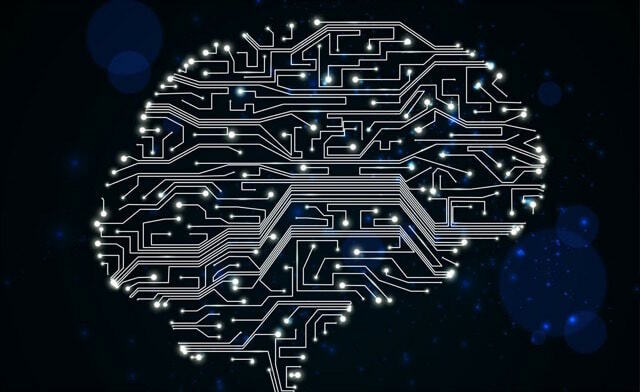 Artificial intelligence applications are revolutionizing myriad industries, including space. Artificial intelligence has the potential to revolutionize industry as we know it. Indeed, per Goldman Sachs, AI and machine learning could “reshuffle the competitive order across every industry”—from mining, to finance, to healthcare, to entertainment; the list goes on. As more tech-driven sectors adopt AI technologies, the software will become a lucrative necessity for competitors. According to a report released by Tractica in Q2 2017, revenues from direct and indirect applications of artificial intelligence software are expected to grow at a CAGR of 52% over the next nine years—from $1.38 billion in 2016, to $59.75 billion in 2025. And boy, are tech giants interested in acquiring AI software. Back in 2014 Google purchased UK-based startup DeepMind for $400 million, in addition to developing its own machine learning software library, TensorFlow. In 2016, Microsoft launched a venture fund—the descriptively-named “Microsoft Ventures”—focused on AI and machine learning startups. Given all the attention from big-name players, AI software companies present attractive exit opportunities for investors. Per data released by CB Insights in July 2017, “over 250 private companies using AI algorithms across different verticals have been acquired since 2012, with 37 acquisitions taking place in Q1 2017 alone.” Notably, around 47% of these acquired companies were VC-backed. Leaving aside terrestrial markets, AI applications are also gaining traction within the commercial space industry—despite the dire warnings of outspoken cautionist Elon Musk. For example, Google’s TensorFlow machine learning model has been used to analyze data gathered by NASA’s Kepler space telescope—and just last week discovered new exoplanets orbiting distant stars. On Wednesday December 13th, Lockheed Martin announced that they would begin using NEC Corporation’s AI software to sift through the data collected by the company’s satellites. This partnership between Lockheed and NEC highlights a rising trend within today’s space landscape: the use of AI in processing the unprecedented amount of data coming from satellite constellations. The enormous amounts of information generated by orbiting satellites are ideal datasets for AI software and neural networks. In basic terms, artificial intelligence—and more specifically, an application of AI called machine learning—is the notion that computer systems can be programmed for self improvement. Essentially, such systems can “teach” themselves through feedback loops if given access to relevant data. Orbiting satellites and artificial intelligence are, therefore, something of a natural pairing. In order to be useful to satellite operators, the information gathered by on-orbit craft needs to be processed, sorted, and analyzed. In order to be helpful to users, machine learning software needs large amounts of data to build and improve neural networks. 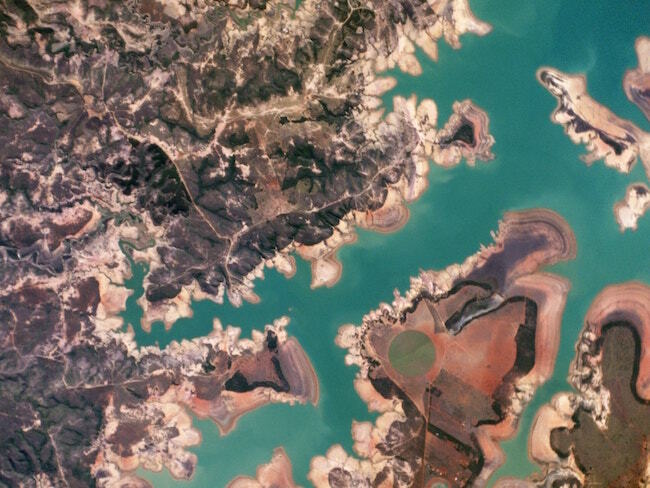 For satellite operators and the customers of their data, a particularly relevant application of machine learning is on the booming satellite imaging market. These days satellite imagery provides geospatial data for a wide range of industries, and for both civil and commercial purposes. Satellite imagery is used in location-based services and apps, agriculture and forestry management, weather tracking, defense monitoring… the list goes on, and will continue to grow. From a commercial perspective, the global market for satellite imagery is expected to swell to about $6.81 billion by 2023. Machine learning software enables satellite operators to not only sort through and categorize visual data, but also track trends and anomalies within the data sets—all more efficiently than a human would. Taking the technology one step further, advanced AI may even learn to predict changes in data before they occur. As artificial intelligence applications, machine learning software, and neural networks become more advanced in the years ahead, such systems will also enable satellite constellations to be more selective about the data they register. For years now, onboard processing systems have allowed communications satellites to optimize spectrum assignments and signal capacity—and in the future, network-linked satellites equipped with machine learning would streamline this process. Similar neural net functionality would have major implications for Earth-observing satellites, which deliver huge volumes of data to terrestrial operators. Given the scarcity of available bandwidth and the overabundance of data, it makes sense beam down to Earth only the most valuable pixels (featuring areas of interest or change detection, for example). Deep learning for deep space: Autonomous systems will be necessary on missions to Mars and beyond. Orbiting satellites are, at least in terms of universal scale, a close-to-home arena in which to apply AI and machine learning software. In fact, the private space industry is already working to integrate a measure of autonomy into satellite operations. For example, multiple commercial ventures are developing on-orbit satellite repair services—essentially, autonomous spacecraft that can diagnose and fix problems with aging spacecraft. Space Angels-funded Vector Space Systems, a micro-launch provider headquartered in Tucson AZ, has launched Galactic Sky to complement their launch services. Galactic Sky, a satellite virtualization platform consisting of entirely software-defined micro-satellites, enables customers to explore a project’s on-orbit potential without needing to design, build, and launch proprietary spacecraft. Put simply, the platform provides a way to update the firmware of a satellite while the craft is already in orbit—a major step forward from other currently-available satellite services. As we travel further out into our solar system, however, communication between home base and robotic spacecraft becomes increasingly unreliable and time-consuming. Given this inherent latency, a mission’s viability—or at the very least, its efficient timelines—can be threatened by unexpected system malfunctions. When human operators are separated from spacecraft by tens of millions of miles, diagnosing and repairing unexpected setbacks are a major undertaking. This problem is exemplified by NASA’s current Mars rovers which, while technologically impressive, nonetheless require some “hand-holding” from Earth-based handlers. In 2016, the Curiosity rover encountered a problem with its onboard percussion drill. Two weeks after identifying the source of the issue, mission controllers were still working out a viable solution. It is precisely such a scenario that makes advanced AI an appealing upgrade to next-generation robotic craft in deep space—although it should be noted that in these relatively early days of machine learning, engineers at NASA are hesitant to give remote probes full autonomy. Rather, such systems are being rolled out incrementally to test out aspects of autonomous decision making without relinquishing control. In June of 2017, Curiosity installed an intelligent targeting software update called the Autonomous Exploration for Gathering Increased Science (AEGIS). This program enables the rover to make its own decisions regarding which rocks to sample, without waiting for input from mission control. 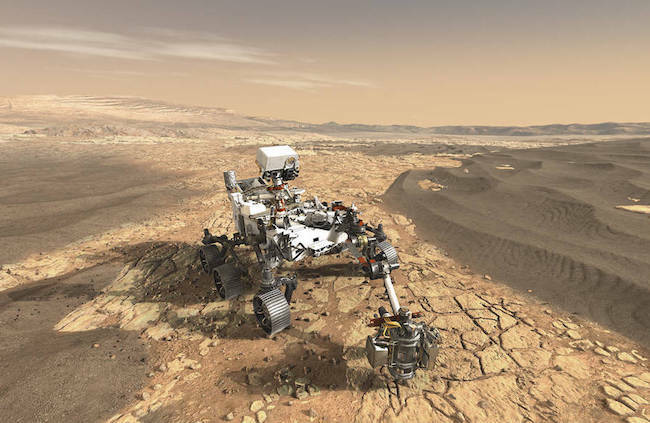 NASA’s Mars 2020 rover will be equipped with a similar AI in order to make critical decisions about the Martian surface without oversight from terrestrial scientists. In the years to come, artificial intelligence will play a significant role in space exploration and exploitation. As artificial intelligence and machine learning systems evolve, they will likely play a larger role in crewed spaceflight and deep space missions. 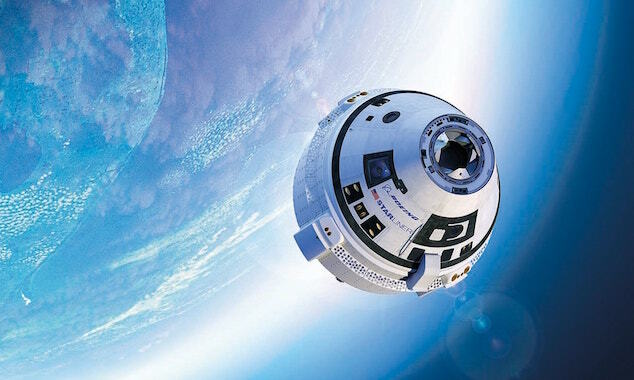 We are already seeing a growing emphasis on autonomous systems with SpaceX’s Dragon crew capsule and Boeing’s Starliner spacecraft: each is designed to intelligently (and autonomously) shuttle crew members to the ISS without the need for manual handling. However, it is always wise to temper excitement over such cutting-edge technology with a fair dose of pragmatism. Artificial intelligence gives us much to be excited about, to be sure, but there is still much work to be done before machine learning, neural nets, or fully-autonomous systems will be ready for large-scale deployment in space—especially as concerns crewed spaceflight. Potential caveats notwithstanding, artificial intelligence is emerging as a key enabler within the entrepreneurial space industry. With AI comes enormous potential, not only in terms of revolutionizing satellite data and operations, in-space logistics, and deep space exploration, but also in terms of ROI. Artificial intelligence and machine learning systems are on the rise, and represent an investment opportunity for those who understand the potential risks, applications, and opportunities of this evolving technology.